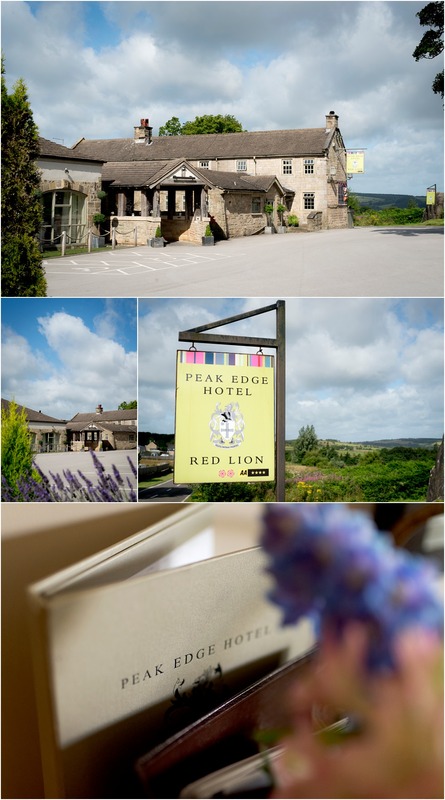 I’m delighted to share the highlights from Beth & Matt’s awesome peak edge hotel wedding. This was a little further a field from my usual stomping ground so it was nice and refreshing to shoot at a new venue. It was also great to be working so close to the peak district. The weather could have been better on the day but they didn’t let it dampen their spirits! 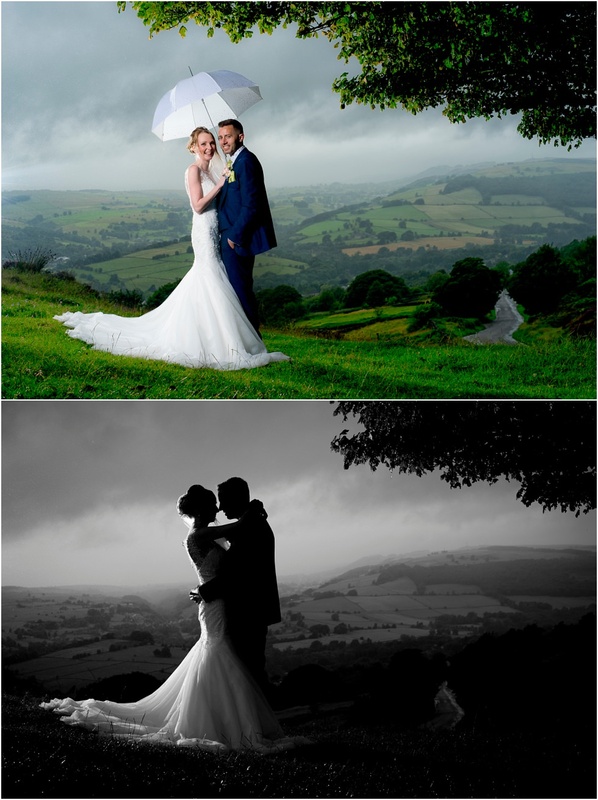 We took a drive out into the peaks to Curbar Edge for some bride & groom shots. 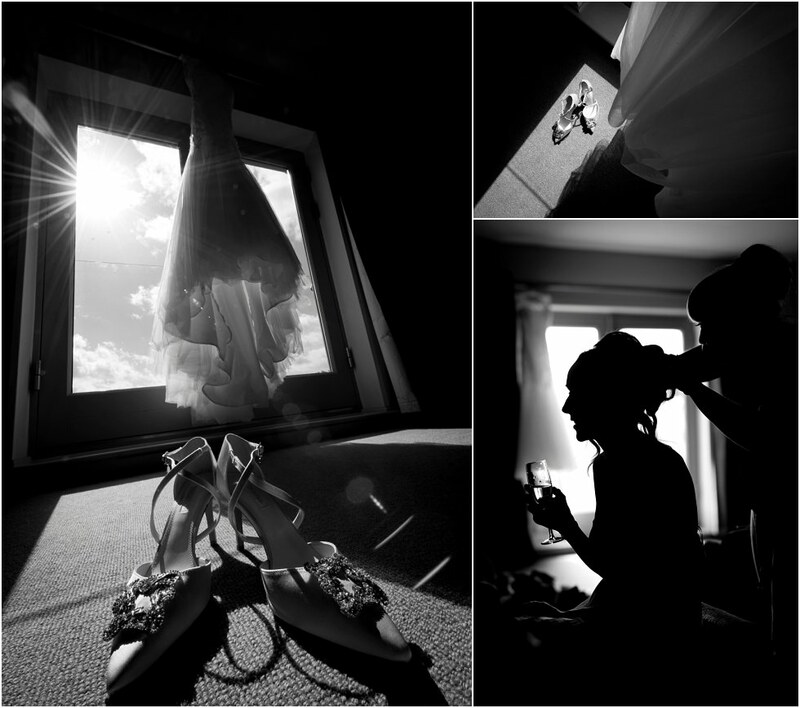 It was probably one of the most challenging times I’ve experienced as a wedding photographer. The logistics of getting B&G to the location, getting the bride up a hill (in a white dress!) 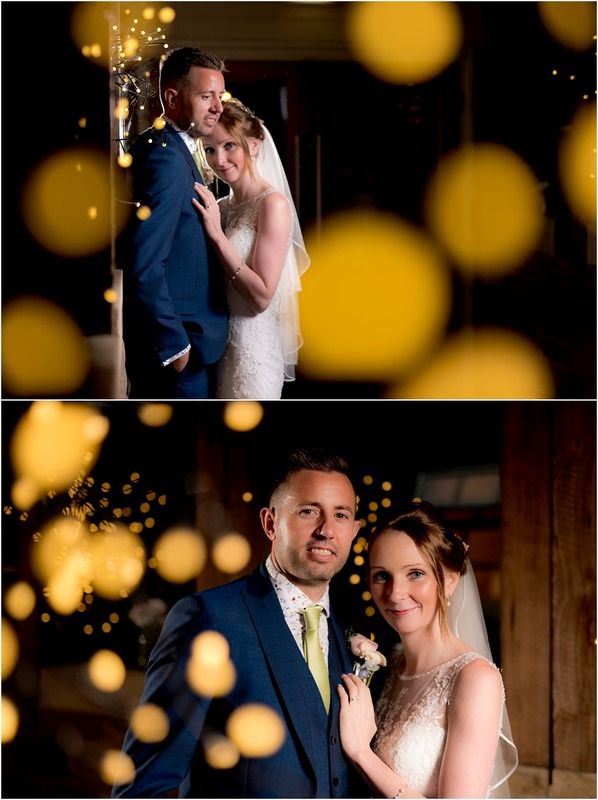 keeping the couple dry, working with two light set ups and concentrating on composition, pose, camera settings, light settings, light placement and keeping my gear dry was a real test! But things couldn’t have gone better! 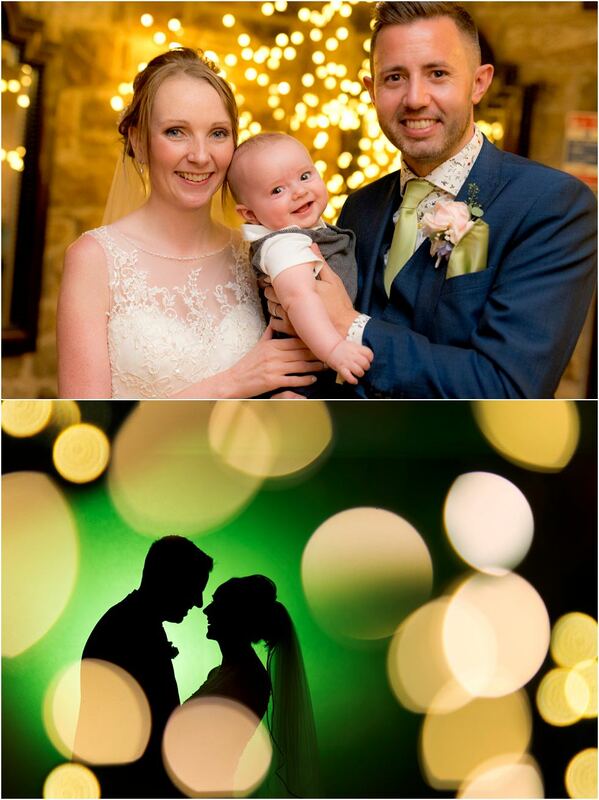 Huge respect to Beth & Matt for braving the poor weather and putting their faith in me to produce the results. How long have you been together: We have been together just over 5 years but have known each other much longer. 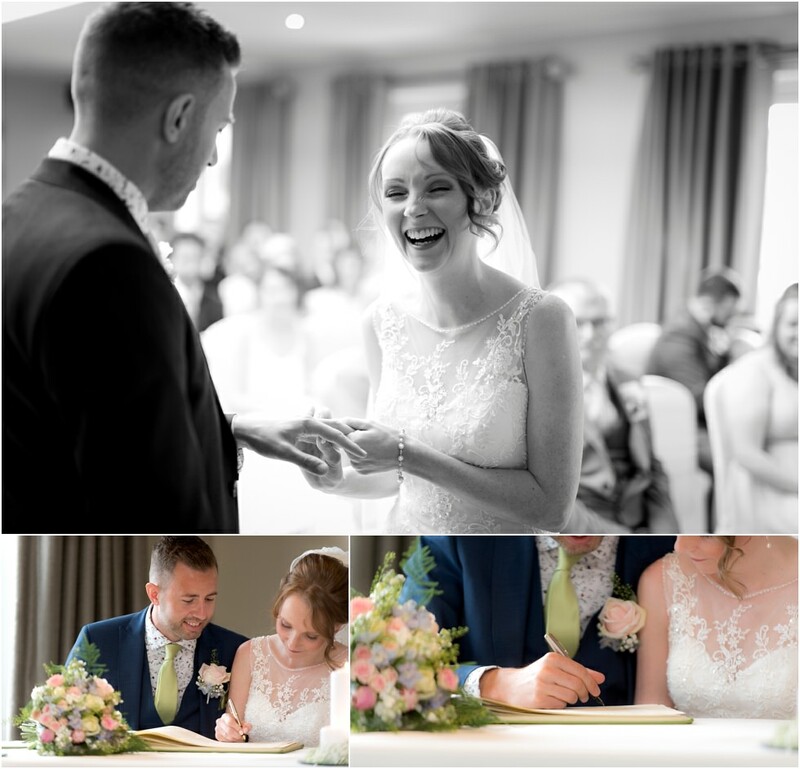 Any stories or tales from the proposal: Matthew planned a surprise trip to Barcelona and on the first night there treated Beth to a delicious paella out near the harbour before proposing on one knee on the beach. He had intended to propose when the sun was setting but apparently Beth took too long to get ready so he actually ended up proposing under the stars… when she could no longer see the ring! 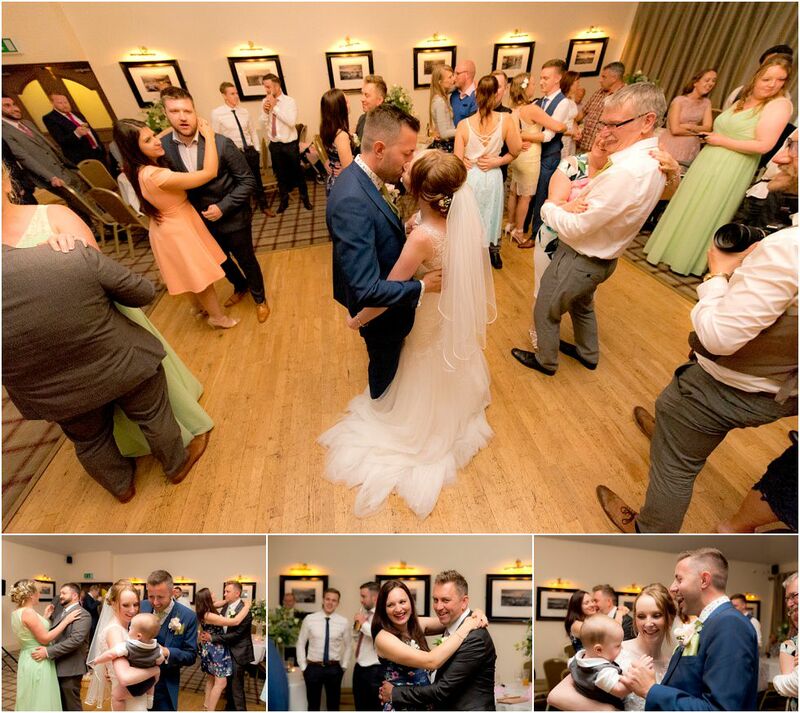 Reasons for choosing your venue: Having visited 11 venues in total but there was always something missing or just not quite right, until we arrived at Peak Edge where everything just clicked. 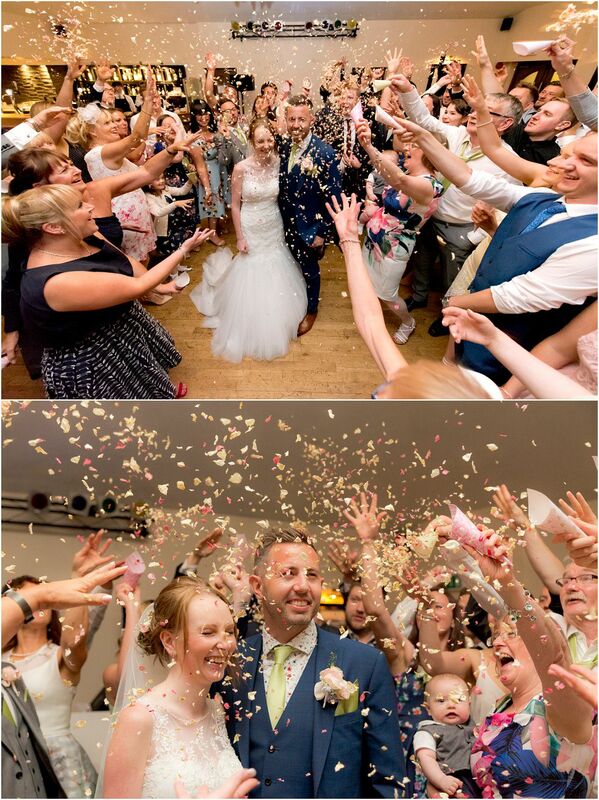 We wanted to have the whole day at one venue so none of our guests would have to travel to different places. 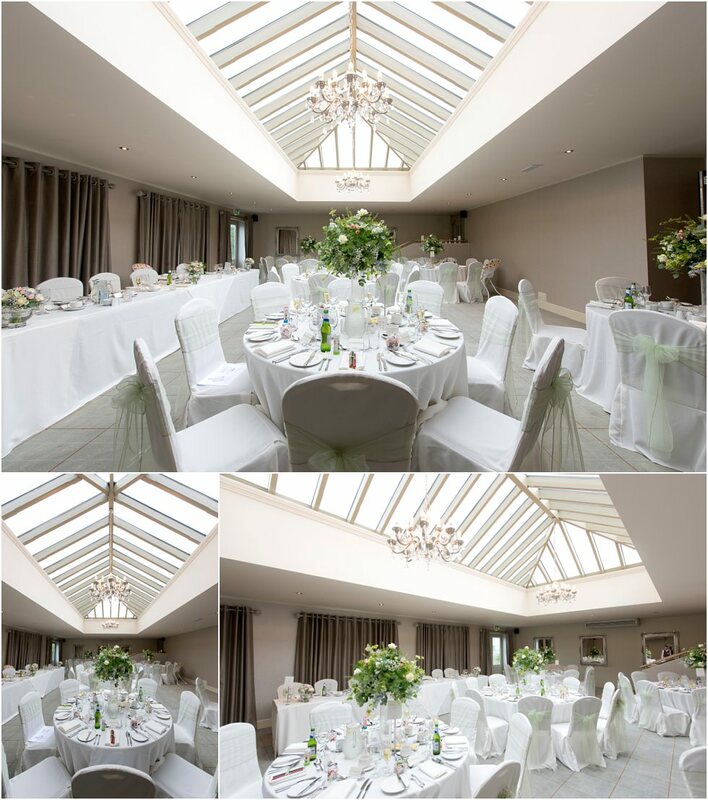 We loved the light that poured into the orangery and the scenery outdoors was beautiful. Not that we actually got to see it on the day due to the rain! 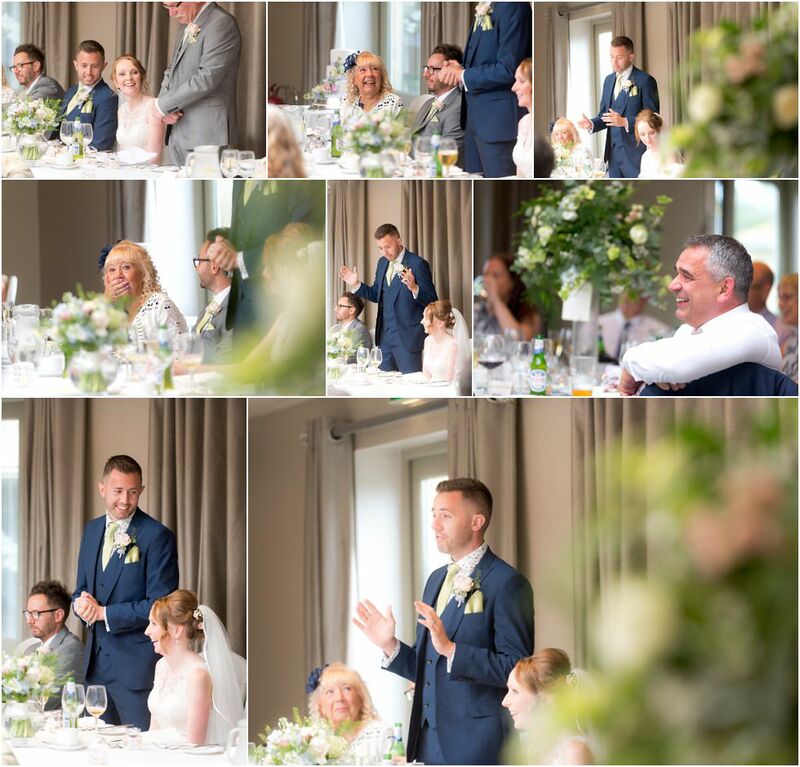 Our wedding coordinator, Becca, was absolutely brilliant and answered any questions we asked and made sure the day was simply perfect. 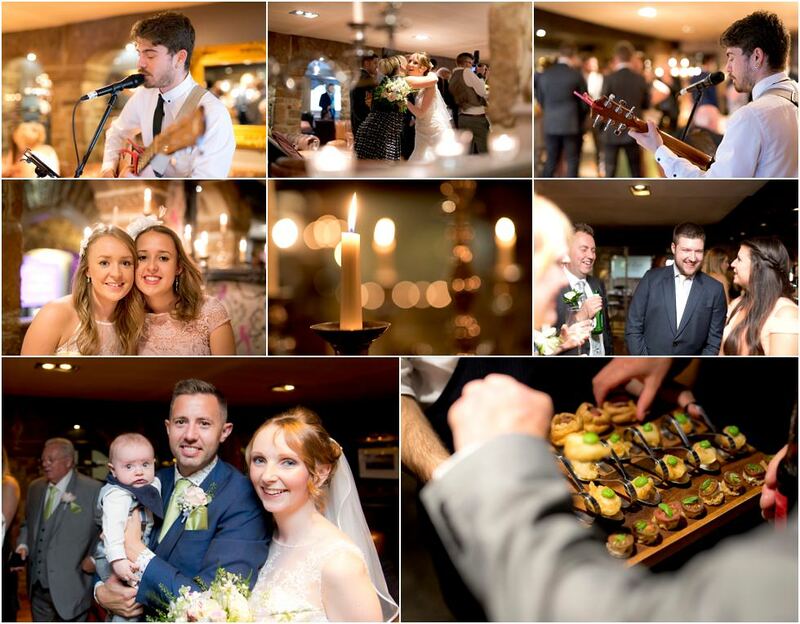 So a peak edge hotel wedding it was! Colour scheme/theme/style: Pink was always going to be a part of the day but Beth felt her sister would kill her if she dressed her in pink! 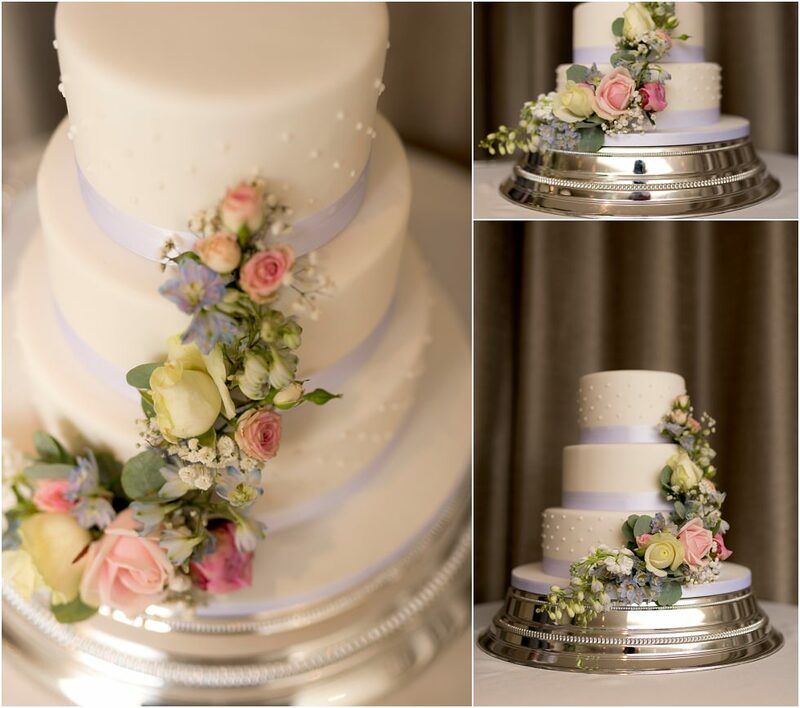 So the main colour became green with touches of pink in the flowers. 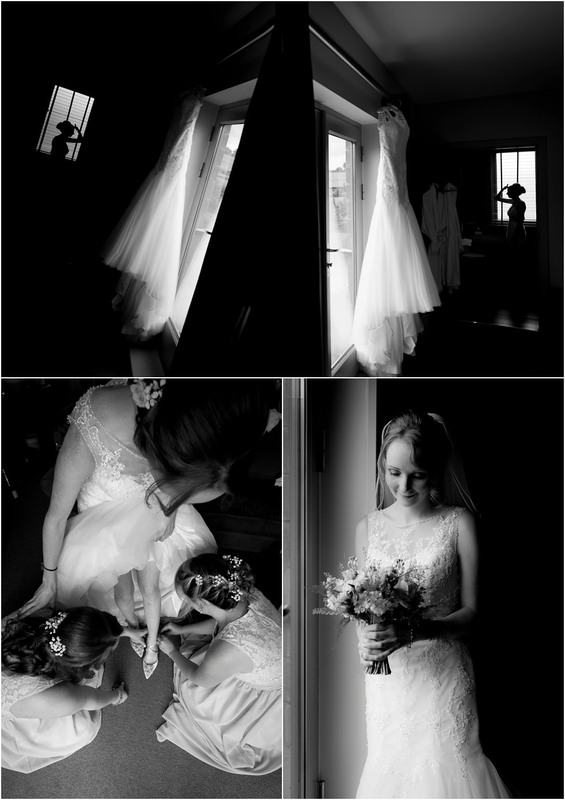 Any special thoughts/memories from the day: It’s so hard to think about specific memories as the whole day was just incredible but a few of Beth’s favourite moments include our son and our friends daughter playing happily together while they were getting ready, her bridesmaids trying to work out the best way to get her into her dress and the moment her dad first saw her in her dress. 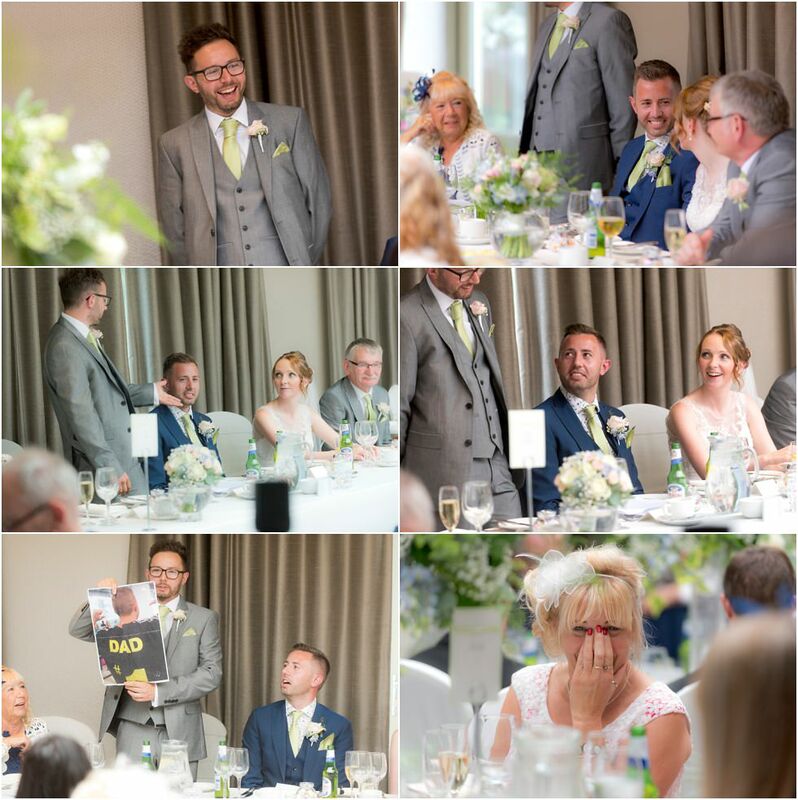 Beth and her dad both became quite emotional as reality dawned that she was actually about to get married! 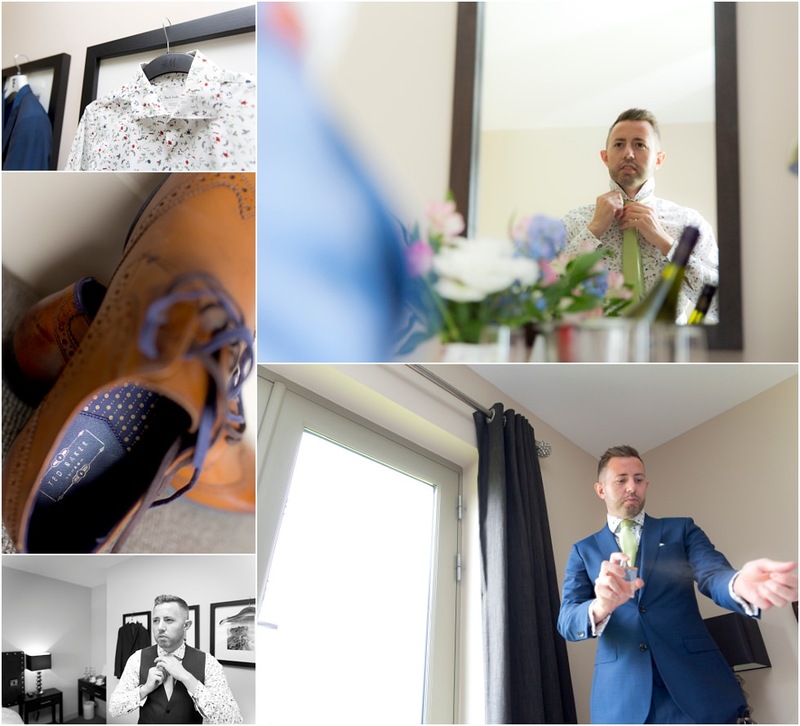 A couple of Matt’s favourite memories are getting ready with his two nephews and seeing his bride first walk down the aisle. 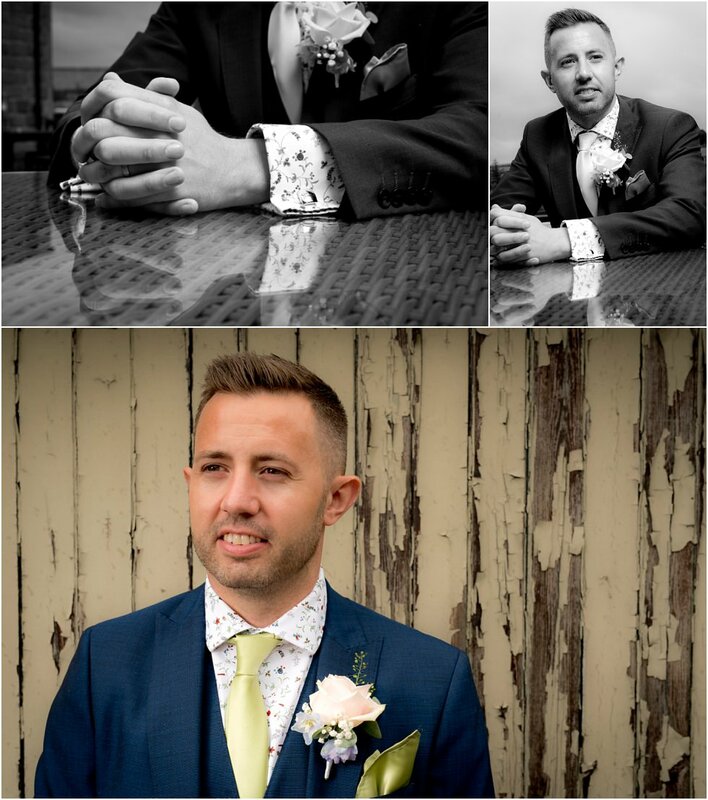 We both also enjoyed our photo shoot out in the Derbyshire countryside as it was a lot of fun! 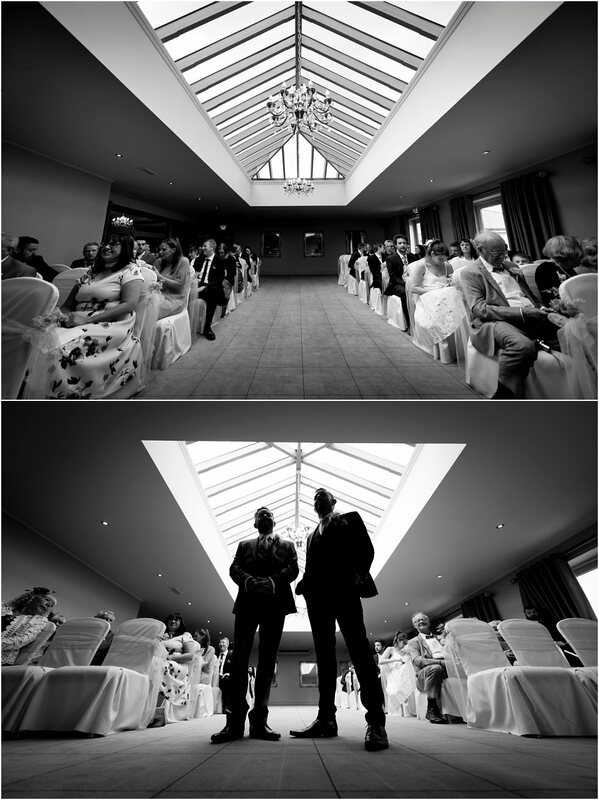 Matt and Christian’s enthusiasm for creating the perfect photo was infectious and had us both chuckling as we cuddled up, sheltering from the rain, under an umbrella. 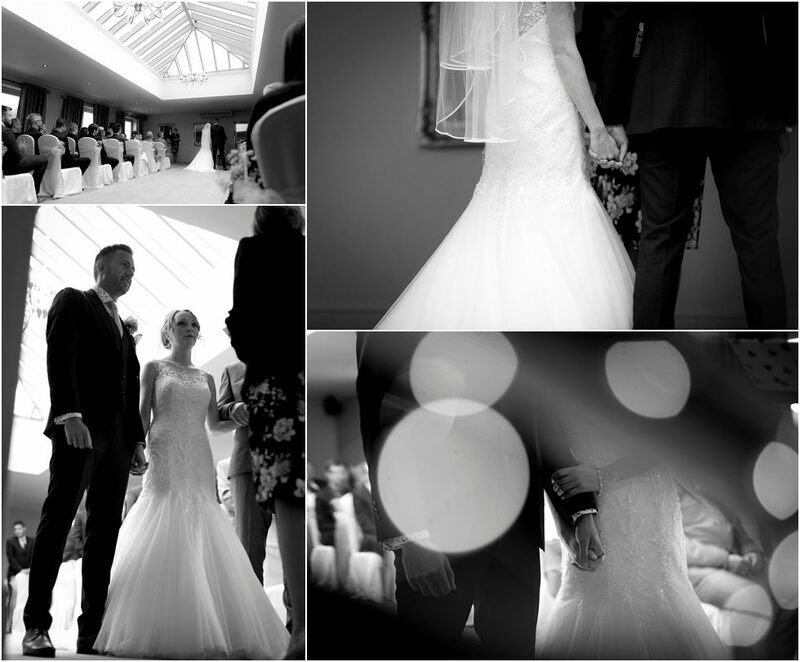 Any advice for couples planning a wedding: The bridal party is very important so choose wisely! Beth’s bridesmaids were amazing! 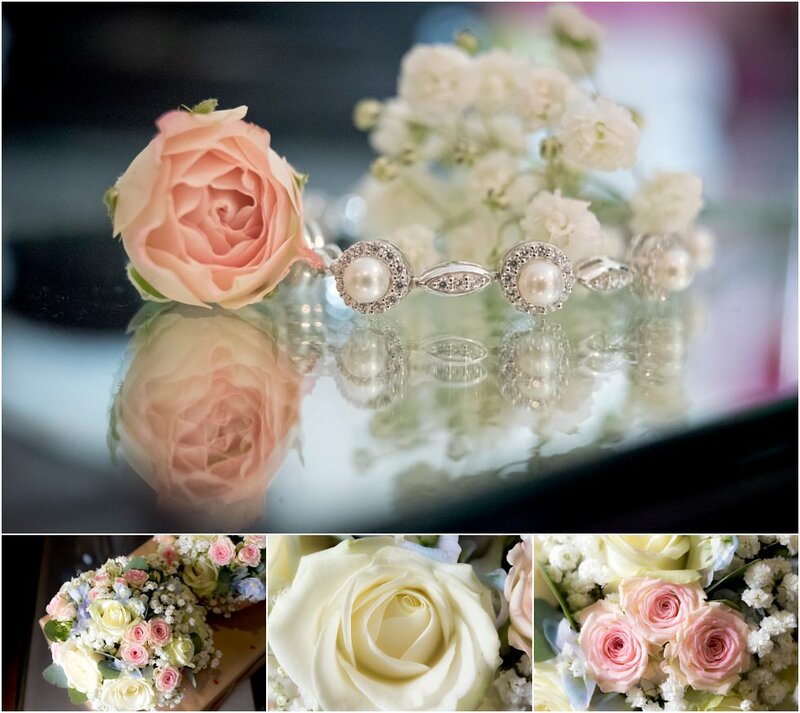 The day before the wedding her friend was sat tying bows onto jam jars and filling vases with flowers while Beth was running around in a flap. She also pointed out to Beth that the colours of the ribbon really wouldn’t be that important on the day and she was right. So let the little details go! 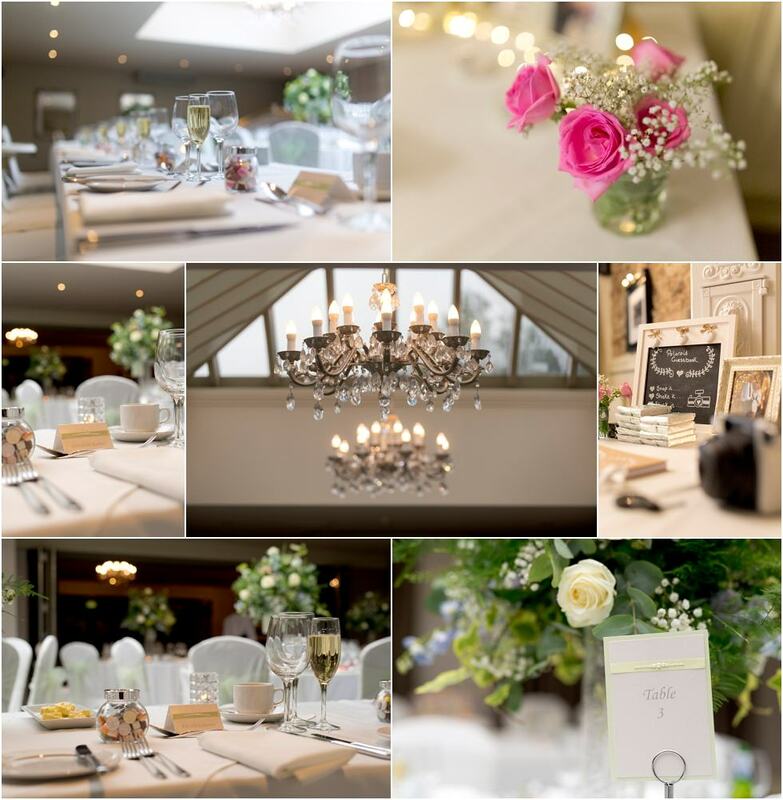 We would also advise choosing a wedding venue that do everything for you as Peak Edge took everything off us the day before the wedding and set it all up for us on the day. From the moment Beth handed all the decorations over to Becca she relaxed. Suits: Groom’s suit was from Moss Bros.
Father of the Bride, Father of the Groom, Best Man and Page Boy suits were all from Next. 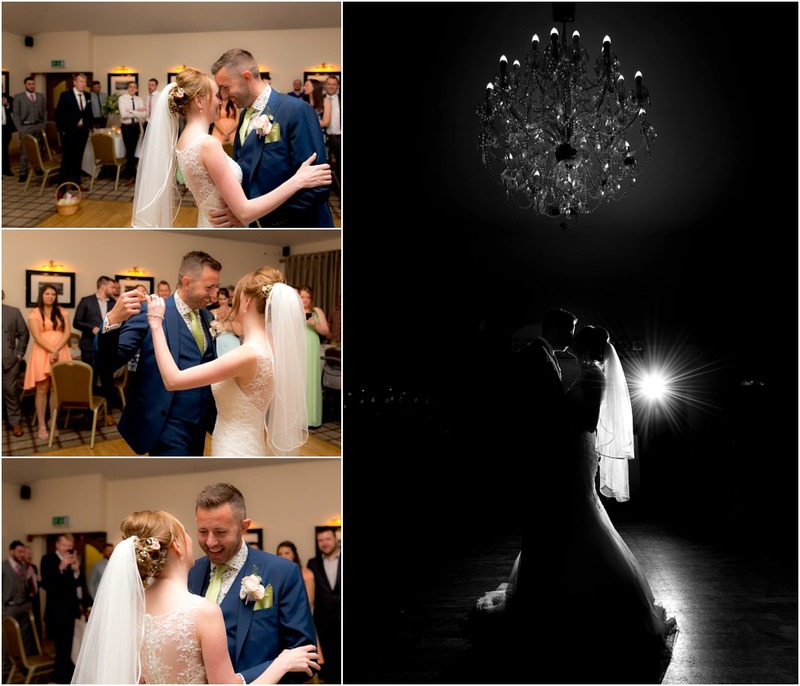 Thanks for viewing the highlights from Beth & Matt’s awesome peak edge hotel wedding. If you found this post useful do spread the love & like/share.